Maintaining lettuce and cabbage transplants / "I have seen them from seed to germination to their new home"
The varieties of lettuce we’re growing are Cardinale Batavian, Sierra Batavian, Summertime Iceberg, Flashy Green Butter Oak, Merlot Red Oakleaf, Cracoviensis, and Les Orielles Du Diablo as well as a Chinese cabbage called Fun Jen. 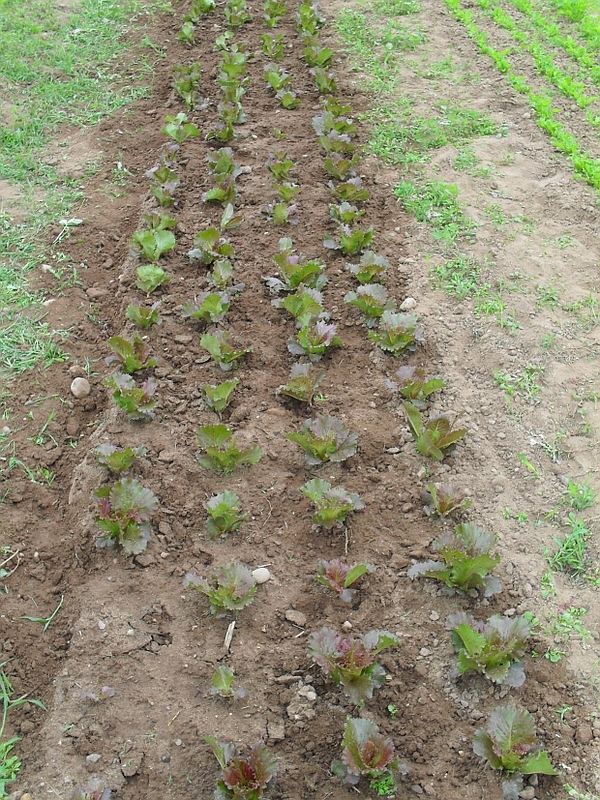 Unlike the other salad greens that we picked as looseleafs (harvesting single leaves), these lettuces will be allowed to grow into full heads. The cabbage will grow into a head that can be cut from the stem. The Fun Jen variety, however, has a looser leaf and will not grow as compact as other varieties of cabbage. These varieties do especially well in cold climates and will thrive in the swift, autumn-like briskness that has approached our area. 1) Lettuce will not germinate in high heat; planting their seeds in a cool, shaded area first (if your outdoor temperatures are intense) is best before transplanting them outside. 2) Always weed! Be sure to pull from the bottom of the stem to remove the weed from its root. This will result in the weeds not returning as swiftly or as strong. 3) Placing a construction paper like cover (such as one from Weed Guard Plus, the only one certified organic in the U.S.), pre-punched, over the soil before transplanting can reduce weed overgrowth, and is compostable and 100% biodegradable. 5) Cabbages are extremely susceptible to fungal diseases, harmful bacteria, and pests such as caterpillars nibbling away at their leaves. 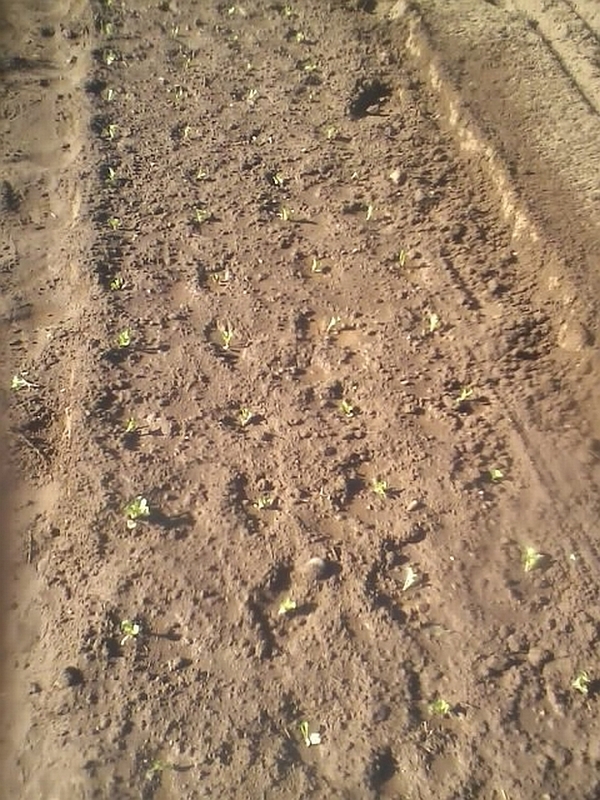 A dust or spray of bacteria that infects the caterpillars that plague cabbage is available and will not harm the crop. 6) A moist bed and a chilled climate allow these lactucas to thrive; autumn is a great time to begin planting these crops. The leaves are crisper for harvesting thus resulting in a heightened flavour. 7) Read more on what to expect growing your own lettuce and cabbage.